Have a large family? Need extra cup holders to carry drinks? Need a clasp for your water bottles when on the go? 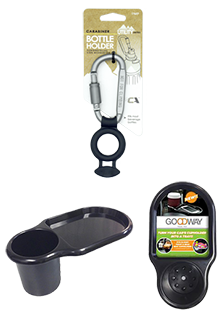 Come check out our Beverage Holder and Carabiner Bottle Holder. We Have The Lowest Prices In The Nation ~ GUARANTEED!